Educational Qualification: Candidates should possess Degree OR Diploma in Relevant Engineering Discipline OR HSC(10+2) with Physics and Maths OR 10th Class Passed with ITI in relevant Trades. RRB Selection Process: The selection will be based on two stages examination (First stage CBT and Second Stage CBT) common for ALP and Technician. In addition, candidates who have opted for ALP and qualified in Second Stage CBT have to undergo Computer Based Aptitude Test (AT). Application Fee: UR/OBC Male Candidates have to pay Rs. 500/- and Rs.250/- for SC / ST / Ex-Serviceman / PWD / Female / Transgender / Minorities / Economically backward class through Internet Banking or debit/credit cards or can be paid through challan in any branch of SBI or Computerized Post Office Pay-in-Slip. 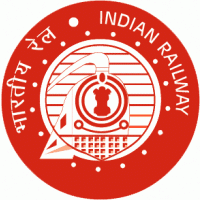 How to Apply RRB Vacancy: Interested Candidates may apply Online through the RRB website http://www.rrbahmedabad.gov.in from 03.02.2018 to 05.03.2018.